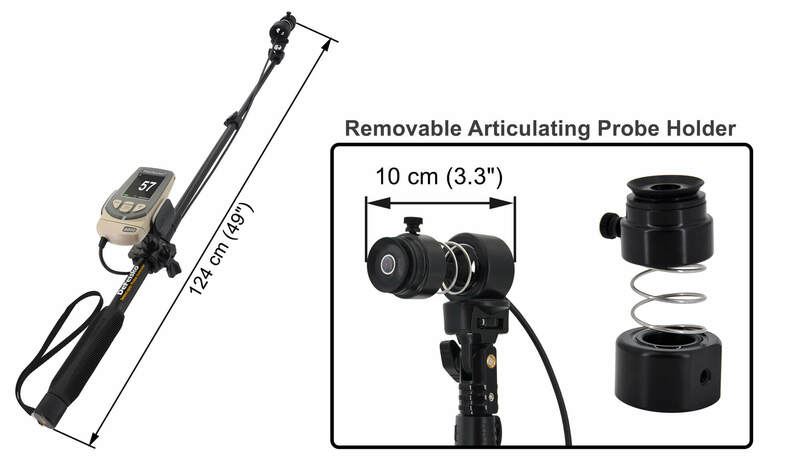 The Telescopic Probe Extender is a lightweight, portable device that increases the reach of PosiTector 6000 regular cabled probes up to 124 cm (49"). It is ergonomically measuring overhead or underfoot. Includes a built-in mount for securing the PosiTector gage body allowing for comfortable one-handed operation.